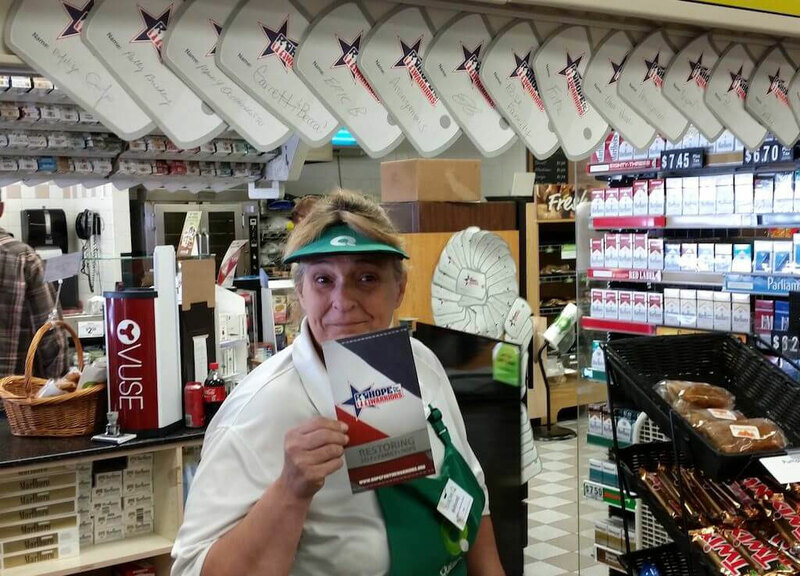 WHITEHOUSE STATION, NJ — QuickChek Corporation, a market leader in food services dedicated to serving its communities, is once again raising funds to help support post-9/11 service members and their families through an in-store donation program. Customers are invited to purchase paper dog-tags for $1 at any of the company’s 156 fresh convenience market store locations in the metropolitan area beginning Saturday, June 2 through July 7, 2018 to benefit Hope For The Warriors, a non-profit organization whose mission is to enhance the quality of life for post-9/11 service members, their families, and families of the fallen who have sustained physical and psychological wounds in the line of duty. QuickChek raised more than $155,000 during the campaign last year in which customers purchased more than 100,000 paper dog-tags, as well as through a charity golf outing. All of the funds raised will stay in local areas to help support local veterans. “We are very pleased to honor and support our service members and their families who give so much of themselves,” said QuickChek CEO Dean Durling, whose family-owned-company has raised millions of dollars to support a variety of causes benefiting children, families, and veterans. Since 2014, the Whitehouse Station, NJ-based chain has raised more than $439,000 for Hope For The Warriors and its programs through this in-store promotion, an annual golf outing, and the Long Island Run For The Warriors. Each paper dog-tag that is purchased will be signed and posted on the walls of each of the company’s stores throughout New Jersey, New York’s Hudson Valley and Long Island in support of service members and their families. The in-store summer promotion aligns with QuickChek’s “Summer of Subs” campaign in which consumers can enjoy additional savings as select 6-inch sub sandwiches are just $3 and select 9-inch premium baguettes are just $6. To locate the nearest QuickChek store, visit www.quickchek.com or download the QuickChek mobile app at the App store.